The Denver Nuggets finished summer league preliminary play 3-0 after defeating the Milwaukee Bucks, 90-83. After two solid victories to start summer league play, the Nuggets followed it up by shooting the lights going 46.5 percent from the field and 50 percent from three. Denver’s offense started after the opening tip as DaVaughn Akoon-Purcell drilled a three to start the fireworks for the Nuggets. 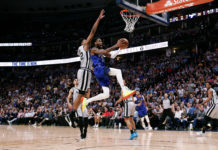 With Malik Beasley done playing summer league, Akoon-Purcell drew his first summer league start and continued to be a pleasant surprise for the Nuggets. 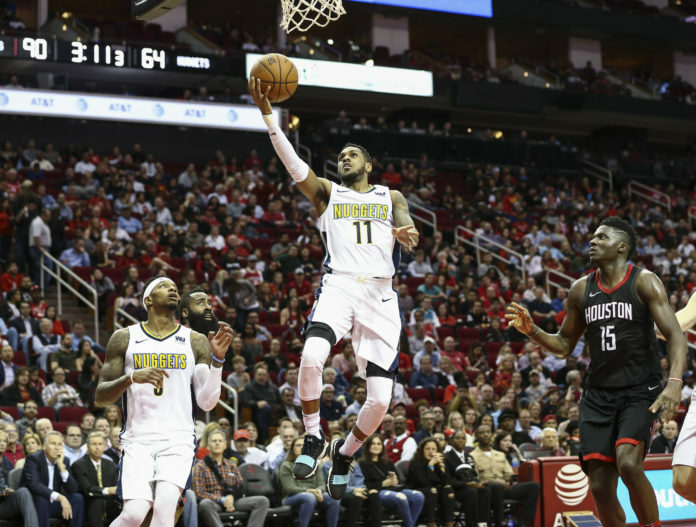 Akoon-Purcell wasn’t the only Nugget who started strong as Monte Morris continued his phenomenal play for the third straight game. 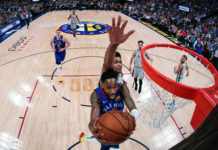 Drilling one three-pointer in the first, Morris continued to shine with hopes of becoming Denver’s backup point guard going into next season. 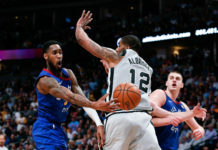 Taking an 18-17 lead into the second quarter, the Nuggets second unit struggled defensively allowing Bucks shooting guard Sterling Brown to score at will. Brown’s offensive showing helps the Bucks to score 28 second quarter points and gave Milwaukee a 45-44 lead going into halftime. Brown finished the night with 27 points and ended as the games leading scorer. Holding the Bucks to just 13 third quarter points, the Nuggets defense came to life again as Denver outscored Milwaukee by 10 in the quarter. The Nuggets defense complimented its offense as Akoon-Purcell scored six of his 18 points in the third quarter. Akoon-Purcell’s offensive rubbed off on Morris who finished the third with 16 points on 7-13 from the field. Morris wasn’t just scoring the basketball, as he also dished out six assists and hauled in six rebounds when the third came to a close. With two solid defensive quarters in the books, the Nuggets defense had a bend, but don’t break approach in the fourth. After holding a 12 point lead, the Bucks found a way to cut the Nuggets advantage to two with just over two minutes remaining in the game. With the Nuggets needing yet another offensive spark, Morris rose to the occasion drawing a foul and nailing two free-throws to push the Nuggets lead back to four with a 1:36 remaining. The final blow to the Bucks came with 13 seconds remaining when Morris intercepted a D.J. Wilson pass and took it coast to coast for the easy lay up to put the score at 90-83. Morris finished the night with his best game in Vegas scoring 20 points on 8-15 from the field. Morris not only led the Nuggets in points, but he also led the team in assists (8) and rebounds (6). Other notable stat lines for the Nuggets were Tyler Lydon, who finished the game with 10 points on 3-6 from the field-3-5 from behind the three-point line-and Vlatko Cancar, who finished the game with 13 points, two assists, and two steals. The Nuggets now have a day off tomorrow before they start summer league bracket play either Wednesday or Thursday.